My Notting Hill: The Return of the One Room Challenge! The Return of the One Room Challenge! Next week it's all about the One Room Challenge and I'm very excited to announce that I'll be joining in for another round. Can't wait to show you the neglected room I need to tackle next Wednesday! 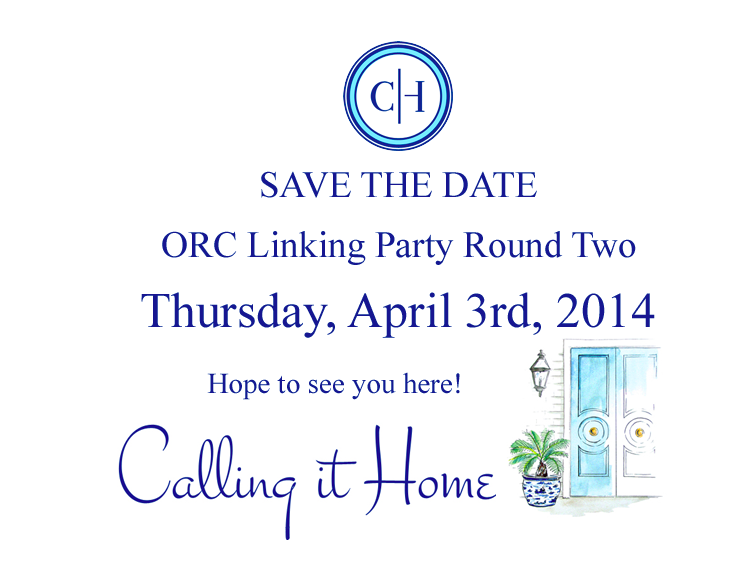 Thursday April 3rd the ORC Linking Party starts. I know that will be full of terrific inspiration too. So, here's the line-up of fabulous bloggers Linda has pulled together. Hope to see you on the 2nd!